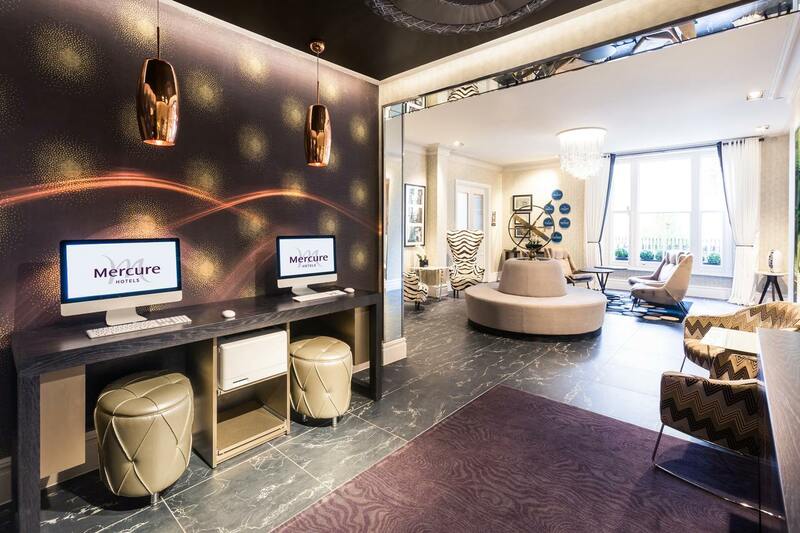 Mercure Hyde Park hotel close to Paddington Station, Hyde Park and Portobello Road may well be your ideal pied-a-terre in London. 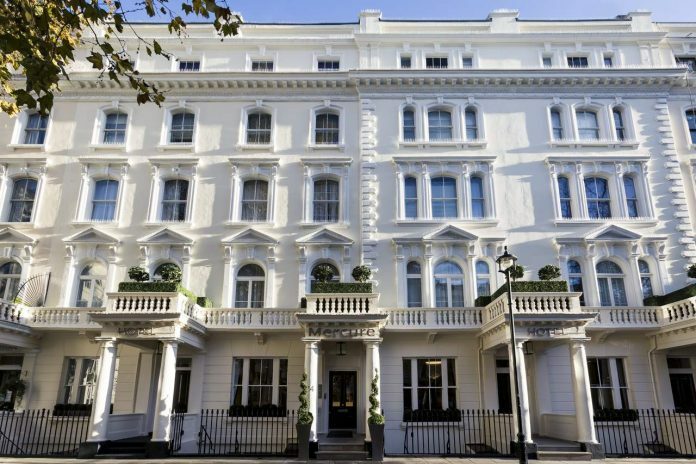 The 72-room 4-star Mercure Hyde Park is housed in a lovely Grade II listed building that extends across four 1850s residences. It has a decent location and all mod cons that make a short stay pleasurable. The name is a slight misnomer though as this boutique hotel is actually in Paddington – around 8 minutes walk away from Hyde Park. The hotel is squirrelled away from the mayhem around Paddington Station, in the quaint and leafy Talbot square just off Sussex Gardens just two minutes walk away. But the name is not an affectation; more a reflection of the theme of the decor that alludes to the cinematic heritage of Hyde Park. A plaque explains that the first moving pictures were filmed at Apsley Gate in Hyde Park in 1889 by British inventor William Freese-Greene. It tells how the likes David Niven and Frank Sinatra were their inspiration. In terms of size, this was never going to be a hotel of grandeur having been fashioned out of a white-washed Victorian Stucco-fronted period town house. 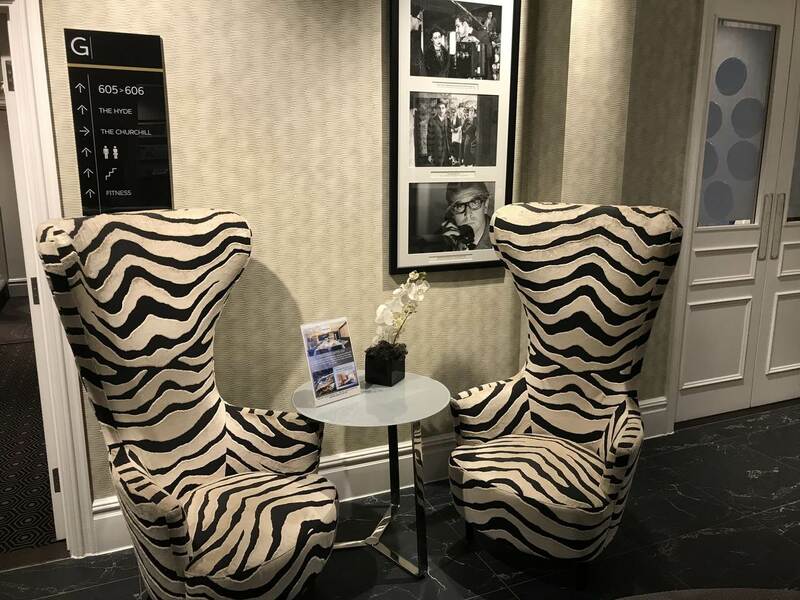 However quirky memorabilia, black and white prints of film stars, high back chairs in zebra prints and a dazzling bronze back drop of the tiny reception desk make quite a statement. Busy city-breakers or those travelling on business and looking for a little luxury in a convenient location would find this hotel ideal. The air conditioned rooms are compact with soothing colours, double beds, plenty of storage, a large 49 inch TV, nespresso machine and a writing desk. For more space you can upgrade to a suite. These are surprisingly spacious and come with two armchairs as well as a writing desk. Bathrooms have contemporary fittings and are well dressed in appealing grey tiles. The suites also come with a small balcony. TIP: For a room with a view ask for one at the front as these look out over Talbot Square. Service is very fast and friendly, both at the 24 hour hotel reception and in the restaurant. There is a small gym in the basement and a small business centre area with free-to-use computers. Although the hotel does not have its own restaurant, it is linked to Indigo restaurant belonging to the hotel next door. It is accessed seamlessly from the reception area. Breakfast is good quality standard fare and other meals such as lunch and dinner can be taken there. This is also where room service hails from. 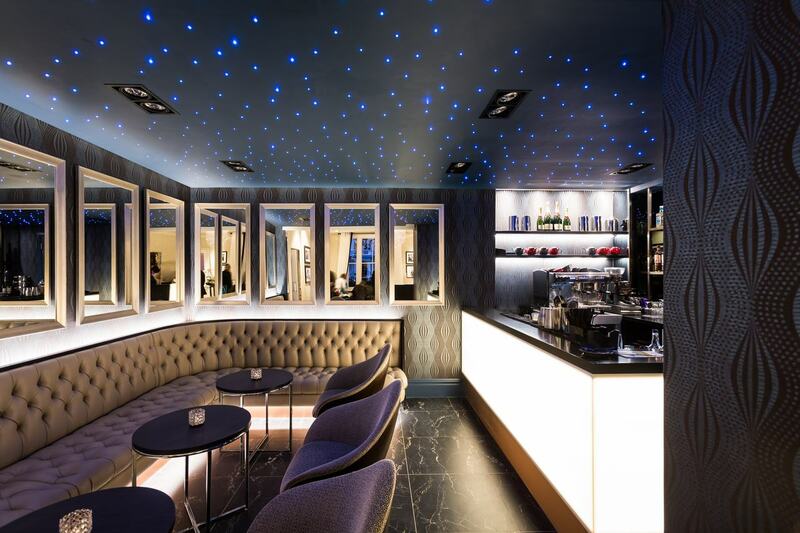 There is also a contemporary bar with a gorgeous night-skyesque ceiling where you can enjoy snacks and a beer or wine or whatever your tipple happens to be. This stays open until 11pm. Rooms start at £269 per night and come with complimentary coffee and mineral water in the room. Hyde Park and the renowned shopping destinations of Knightsbridge and the West End are all easy to get to. The famous Portobello Market and Merchant Square are also within walking distance. Paddington underground Station is served by the Hammersmith & City line tube line, the Bakerloo line and the District and Circle lines. From Heathrow airport catch the Heathrow Express Train: direct high-speed trains run to and from Heathrow Airport (all terminals) to Paddington Station. Trains depart every 15 minutes and journey time is 15 minutes. 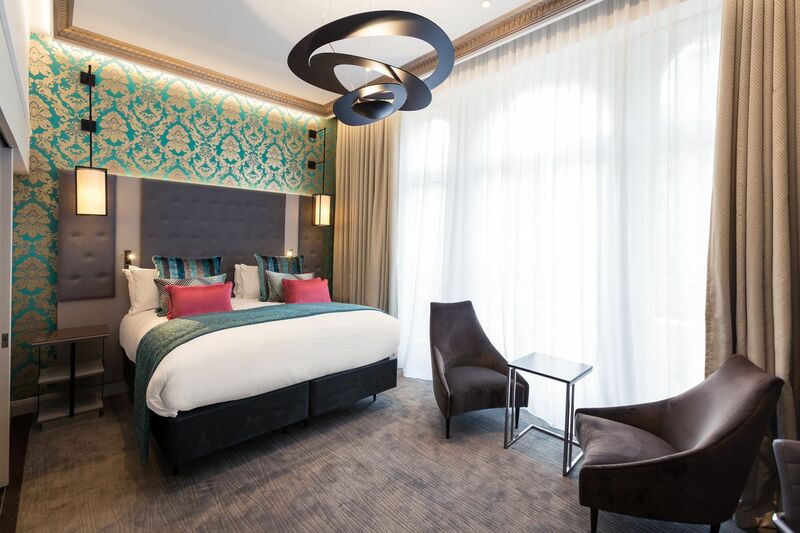 When all you want is a pied-a-terre in a convenient city location for a night or two, the Mercure Hyde Park fits the bill. Onima Restaurant – Mykonos in Mayfair?